This blog lies information for those startups and the entrepreneurs, who are interested in developing dating or match-making apps. Check out top three reasons on why startups opt to develop an app like Zoosk and Lively dating app. Over 20 million profiles match every single day on top dating apps. 40+ million people meeting with the perspective to start with a further relationship. However, all these figures make dating apps the primary way to meet new people. With the increasing demand for dating apps, there is still a huge opportunity if you are trying to dive into the world of dating app industry. Zoosk: With $61.6M total amount of funding, Zoosk is a San Francisco based app that ranks number 1 for offering a truly personalized dating experience via its Behavioral Matchmaking technology. In the below image, you can check that the dating app, Zoosk had the largest fan base of 13,421,951. According to the latest news from crunchbase.com, Spark Networks is planning to acquire Zoosk, making it the second largest online dating platform in North America. Once completed, this acquisition will double Spark’s total monthly paying subscriber base to 1 million people. 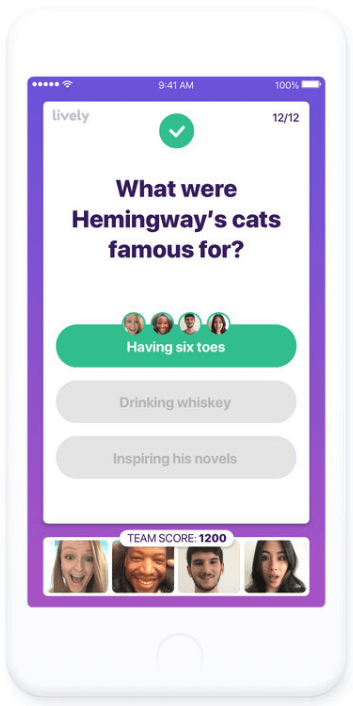 Lively: On the other hand, Lively is a video-based social dating app, which allows users to connect instantly with one another via group video chat. Since its launch in July 2016, Lively has gone beyond static images and text to help people know each other through creative videos that help them share more about themselves. 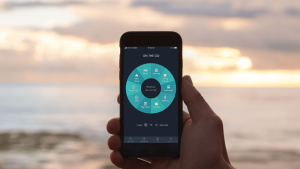 Lively is the first offering from Zoosk Labs, an in-house incubator that signals the company’s commitment to innovation and expansion into new areas and demographics. 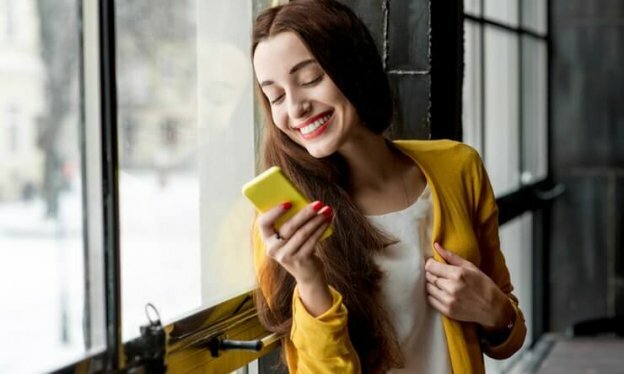 So, being a startup, if you are determined to take a shot in the dating industry, but still have any doubt, then we’ve rounded up top three reasons why you as a startup can consider developing a dating app like Zoosk and Lively. #1. Dating Apps Will Never be Abandoned by Users. Here’s Why? One of the major reasons why online dating concept has become so popular among people is the fact that the dating app users can completely check each other profile before they hang out. Earlier, people used to be mysteries when it comes to dating. However, dating apps provide a completely secure platform to users while dating no matter where they are. Now, people also have options to opt for such dating apps like Zoosk and Lively, where they get the idea of the match in terms of the verified profile. If we’re talking about another concern for women’s safety, it is the most expected from users when it comes to dating apps. This type of fundamental requirement is already fulfilled by the best dating apps like Zoosk, Lively and even Tinder dating app. Moreover, users are spending approximately 90 minutes a day looking for matches. So, it is safe to say that Tinder like dating apps provide a secure platform to users worldwide which they are not going to abandon easily. #2. Dating Apps Display Clear and Valuable Solutions to Users’ Problems. And, They Actually Prefer Them. Apart from the obvious matching, there’s another reason that startups can consider is dating apps come up with a clear and valuable solution to user problems like security and in-detail information about users to know each other. Additionally, such apps also come with a lot of features location-based matching, group video chat, gamification and many more interesting features that are widely liked by users. If we’re talking about the location-based dating apps, these apps provide matches based on people nearby. It also facilitates users a meeting place to meet. Also, the location-based dating apps provide different opportunities to users. In a nutshell, we can say that a dating app gives users a complete safety, convenience and minimal efforts to find out the perfect match. And it is one of the main reasons why most of the people prefer dating apps when it comes to dating. #3. Dating App Industry Makes a Huge Profit. Zoosk mobile app has more than 40 million users in 80 countries. And, more than 3 million messages sent in a day using Zoosk app. The location-based dating app, Tinder has over 50 million monthly users. Apart from these, regional and culture-specific dating apps are also trending among users. Chinese dating app, Momo reached 70 million MAU in the year 2017. As per the study, “It is already proved that all men and women of different ages are using dating apps”. The revenue in the “Online Dating” industry amounts to US$1,383m in 2018. 40% of all the US citizens are engaged in some kind of online dating apps. The revenue is expected to show an annual growth rate (CAGR 2018-2022) of 3.9 % resulting in a market volume of US$1,610m in 2022. According to the report from Statista, “The number of users are expected to amount to 331.3 million by 2022 in online dating segment”. Have You Decided to Put a Fresh Spin in The Dating App Industry? Indeed, developing a dating app can be a great idea for startups. As you may have already gone through the reasons how booming the dating app industry could be! Mobile dating applications like Zoosk, Lively and Tinder have already exploded in the market due to extraordinary features like security measures and convenience that are the key requirements in the present times. Behind the success of these Tinder like dating apps are the process of match-making that is very different and engaging in front of the users. When it comes to Lively, group video chat is also an essential feature, which makes this app different. On the other hand, Tinder’s left and right swipe feature are also liked by millions of users worldwide. There is no doubt that the users’ choice and preference changes over time. If you as a startup have an interesting dating app idea and if you believe that it can be as successful as Zoosk, Tinder and Lively, just discuss your idea with us as we are a leading iPhone app development company and have developed over 10 dating applications. In case, if you still have any query regarding dating app development or how much Tinder like apps cost? then, you can directly consult us through below given form. We’ll revert you within 16 hours. This page was last edited on March 25th, 2019, at 8:49. 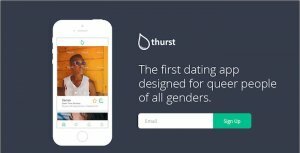 Browse Through These Features of Queer Dating App – Thurst. How is it Changing the Game? 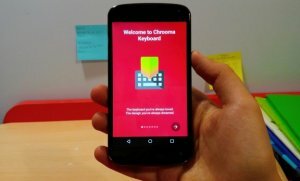 How to Develop an Interesting Keyboard App like Chrooma Keyboard?